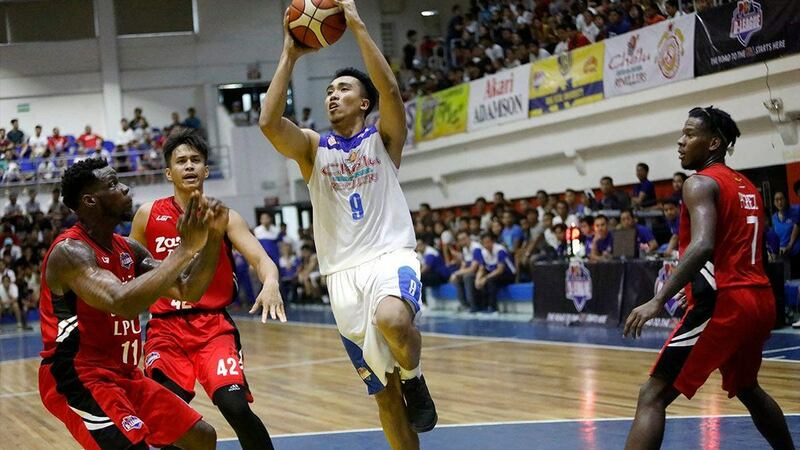 While a number of notable PBA veterans and college standouts playing in the Maharlika Pilipinas Basketball League (MBPL) garner most of the attention, there are some players who are knocking on the door of notoriety. These low-key superstars may have been pros in the past, men trying to get their career back on track. Some of them are dark horses, maybe looking to get into the big leagues by proving their worth in this upstart association. Either way, we should all learn their names. They may be carving out a path outside of the limelight, but these ballers have the skills to eventually rule the hardcourt. Arguably the most famous ligang labas player in the MPBL, Melencio was a legend in his hometown who showed the whole Philippines what he was capable of last season. This cat-like and speedy guard can take over a game with his scoring ability. He's even been compared to PBA star Terrence Romeo, both for his looks and game. The 28-year-old cager from Kawit averaged 15.9 points per game during the maiden tournament, next only to notable scorer Gary David. Amazing for a 5'8" point guard who never suited up for any major amateur or professional league. A 6'5" forward who last played for the St. Clare Saints in NAASCU, Dionisio seamlessly plays with ex-PBA players Joseph Yeo and Roger Yap. His superior use of his lanky frame can be an asset in bagging an MPBL trophy. So far, the Stars are off to a so-so start, so let's see how far they go. Rest assured, Dionisio will play a big part in their season. A former varsity player for the FEU Tamaraws, De Leon toiled away in the deep Morayta-based school's B squad, which prompted him to transfer to CEU and win MVP in the 2018 NAASCU season. He now gets the chance to showcase his wares to a wider audience through the burgeoning league, after stints in the PBL and sporadic minutes for the Star Hotshots. De Leon, a gifted scorer at the 3 spot, makes San Juan an even more dangerous offensive. Even if their team name's acronym is GSW, this group is far from the back-to-back NBA champions. They aren't expected to be a force in the MPBL this season, being filled with virtual unknowns outside of Mindanao. One player to watch for, however, is Losentes, an ex-PBL-cager-turned-ligang-labas-legend. He was once a college teammate of PBA big man Ranidel De Ocampo, and is surely enjoying his time in the mainstream basketball scene again. Ochea won't be a star in the classic sense, but he has always been a solid glue guy with an all-around game. He captained the Adamson Soaring Falcons last season and led by example, hustling and doing all the dirty work. He doesn't score too often, but blocks a ton of shots, which will be entertaining for defensive purists. The 6'6" center didn't get to do much in the first MPBL cup, with only around 10 minutes of playing time per game. What he did show was an uncanny ability to protect the basket. Maybe with more burn, Morillo will get the respect that he deserves from peers and fans. While he played in the PBA for a while, Mangahas didn't exactly make a dent and no one noticed his impact if he had any. Still, he has been tapped by the Skyscrapers to be their fifth ex pro this season. Mangahas is a deadly shooter, armed with wide-open style of play that suits the amateur league well. This may be where Mangahas leaves his mark, and proves his worth as a basketball player. The El Tigre is one of the strongest MPBL teams at least on paper, having the luxury of Bobby Parks, Jr. While the two-time UAAP will garner most of the attention, Lozada may be one who benefits the most. The former Adamson stalwart will play off the ball and take advantage of Parks' underrated court vision, as well as helping the star man on the defensive side of the ball. Look for Lozada to average double figures this season in Mandaluyong's quest to capture the championship. While Grimaldo did play well last season, he was overshadowed by Gary David in Bataan. Now tapped by the defending champions, this may be the season that the ex-MLQU standout finally shines. His inside play will be key for the shooters populating the roster of Batangas, and he will also anchor its defense. Grimaldo plays a vital role in ensuring that this will be a successful season for his team.